The return of jury voting to the Eurovision Song Contest in 2009 was accompanied by mixed reactions between the fans. Many were the ones who viewed it positively because of the phenomenon of neighboring voting and diaspora voting prevailing on televoting until then. Others viewed it negatively as they did not agree with the idea of five people to determine 50% of the votes of a country. There are also several who are talking about counterfeit voting and corruption. EBU publishes the analytical results of jury voting and televoting on the official site and there you can see the names of the judges and the place where each song is classified. We have seen everything in detail and observed some interesting things as we will analyze below. We will not comment on whether they are “stacked” or not, we will just show some rankings and the conclusions will be yours. We start with Albania. Five judges had the same top 2. The four had Italy in first place and Cyprus in the second, while one in the first ranked Cyprus and the other Italy. Expected, as both Ermal Meta and Eleni Foureira are of Albanian origin. Places 3-6 is also interesting . There,in different order each have the same countries, more specifically France, Germany Bulgaria and Israel. In Serbia, all judges had Sweden in their top3, as was in Slovenia, while in Bulgaria the Czech Republic was among the five judges’ preference. In Montenegro, all judges had Serbia and Albania in their top 5. Malta has liked Cyprus very much, so that all five judges have it in their top 2. So in Italy. It also appears that the Maltese judges had similar taste, ranking Austria in positions 8-10, Czech Republic 4-7, France all in third place, Israel 4-8, Norway 6-8 and Sweden 5-6 . Then go to Azerbaijan. There, all five members of the jury had in the bottom 5 Ireland and Israel a little lower than the top10. They also all had Albania and Serbia in their top 5, as well as Moldova (4 out of 5). In Armenia it seems that they liked Israel and Sweden very much, as they were in the top six and five. But in Georgia, Sweden and Austria were among the ludges’ top six, and all of them were very low in Cyprus. In Belarus, everyone had Austria at their five and Cyprus in the top3(the four in the first place). On the contrary, they all had Hungary and Finland in their bottom 5. Alexander Rybak, of Belarusian descent, was found in the top10 of all judges (the 4 at the five of them). 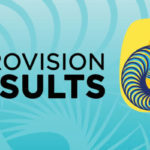 In Russia, four judges had Moldova in first place (one judge had ranked second), Sweden was in three, five, Australia in fifth place of the four judges and Ireland in the bottom 5 of the four. Poland and Lithuania appear not to be excited about Moldova, and the five judges in both countries ranked it in the last place. In order not to be dismayed, Western Europe is being transported to Belgium. All five members of the committee had Austria. They also all had the Czech Republic relatively high (from 4th to 7th) and Serbia in the bottom 5. Corresponding situation also in Germany. There, the five judges had Sweden in the first place and all of them had Austria, Australia and Ireland at their five. All of them also had Spain from 4th to 7th. In the United Kingdom, on the other hand, the four judges ranked Italy in the final position, with all of them in Israel, Albania and Austria. For the end we left Scandinavia and its neighboring countries. In Finland, four judges had Israel at their five, and in the top10 of all judges we found Austria, Bulgaria, Cyprus, Italy and Sweden. In Norway, all judges had Germany in their top3 and all four in Sweden in the first place. 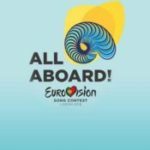 In Sweden, everyone had Cyprus in their top 2 and Serbia in the bottom two, while in Iceland both the UK and Bulgaria were in the bottom 5 and the five judges.